Romania: 1/10/13 – Sample Letter to Send to Euro Contacts – And Lots More ! Romania is heading towards a societal disaster never seen in Europe in recent times! 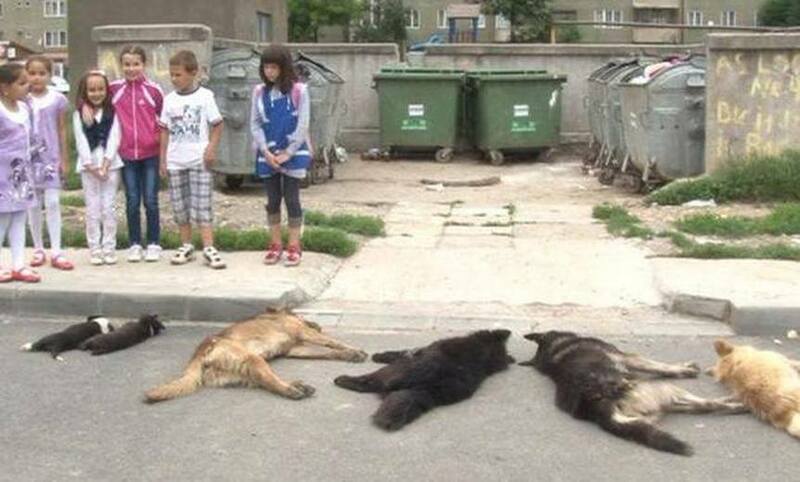 OFA: ROMANIA SHAME ON YOU!! ANY COUNTRY THAT ACTS IN A SO BARBARIC WAY SHOULD NOT BE PART OF THE EU!!!!! 14 days have passed since the Romanian government has decided the cruel slaughter of street dogs!! Below – Before the eyes of the owner, her dog was shot out of sheer cruelty! This dog did never harm anyone was only out for a walk with his owner and that was reason enough for some soulless and heartless people to kill him!! R.I.P POOR SOUL!!! 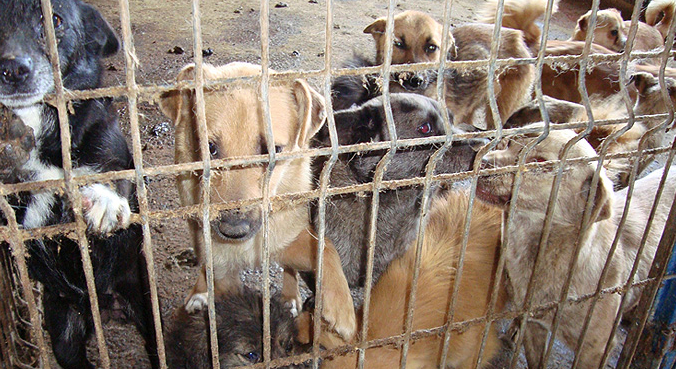 FOUR PAWS NEW PETITION | CALL ON PRESIDENT BASESCU TO STOP THE LAW! On 10th September the Lower House of the Romanian Parliament voted GEO 155/2001 to legitimise a ‘catch and kill’ policy for all homeless animals. The terminology used during the debate at the parliament was ‘eradication’. Since this date media frenzy has been created because of the death of a young boy under what remains dubious circumstances. However the stray animals were blamed and as a result of the media frenzy and the vote, a state of abuse of animals exists now in Romania. Animals and their owners and protectors were immediately, and still are, at serious risk. It must be remembered that many millions of Romanians are animal owners or protectors of the animals. This law has polarized Romania’s society and made it dangerously divisive. It had to be expected that millions of animal lovers would seek to protect their own animals or the animals they ‘protect’ on the streets. Millions! It had to be expected that half a country would seek to defend and protect, and that the other half would seek to aggress. Not only would this policy, bring infamy to Romanian authorities and by association, with Romania, apparently ill considered was the fact that an ‘eradication’ strategy simply will not be successful. Owned dogs will continue to breed and thereby ensuring a plentiful and constant supply of animals on the streets. Occupy for Animals, along with many others, suggested and still maintains, that this is a desirable condition! If implemented, it would therefore be a futile and ineffective policy. The ‘Making The Link’ Study and Project Group – a major collaboration of international organisations, academics and world leading experts in THE LINK between exposure to animal abuse and the resulting effect on children’s psychological health and development, had warned the Romanian Constitutional Court that the implementation of GEO 155/2001 – their ‘eradication’ strategy, which can best be described as potentially ‘the greatest animal genocidal impact on human health in European history’ – would have a deleterious impact of the health of the children of Romania. On 25th September, 2013 Constitutional Court judge Petre Lazaroiu, suggested that “the mass killing of stray dogs in Romania could traumatize the population”… Then the entire place ruled to cull all dogs… and that the eradication of Romania’s homeless animals – although it had been ruled unconstitutional in January 2012 – was now “constitutional”! On 25th of September, the Romanian Constitutional Court had an opportunity to define whether Romania is a country worthy of being called civilized or whether it should be consigned to popular perception of a country unworthy of being considered anything other than barbaric, mismanaged, corrupt and dangerous. They chose the latter. Their approval of, and the implementation of GEO 155/2001, has produced worldwide condemnation and a perception that Romania is a country which introduces medieval practices and governs in a draconian mode. 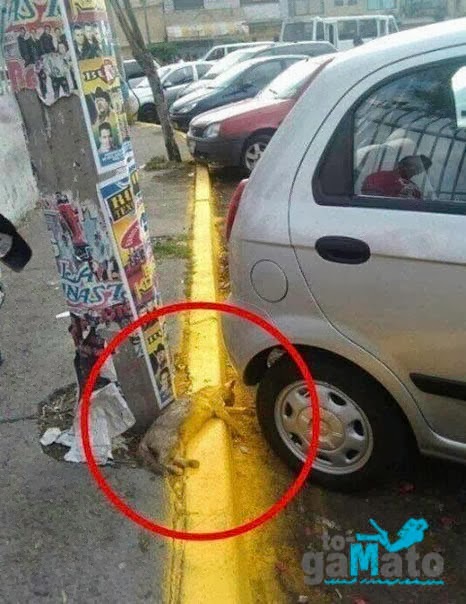 Most of the ‘civilized’ countries have introduced a ‘Catch, Neuter, Vaccinate and Return’ policy and now have very few homeless animals on the streets. This is a 21st century methodology. Not only have the Romanian Government dismissed the warnings expressed by the experts, and failed to acknowledge T-N-R as the only proven successful strategy to control and curb stray animal populations (in fact: ALL ‘catch & kill’ policies have historically proven unsuccessful) but being aware of the costs and profits to be made from implementing the proposed ‘eradication’ strategy, are aware that significant personal profits can be made through corrupt alliances. The net result will be abject strategic failure and the number of animals will not decrease. Through corrupt alliances, personal profits from the animal corpse disposal will have been secured. But the biggest cost is in the human domain. Children exposed to the capture and often immediate slaughter of the animals will seek to psychologically protect themselves from such trauma. They will desensitize. Reduce their sensitivity towards living creatures including fellow humans. Some will embrace the attributes of their violent society and finding legitimized sanction for the destruction of the animal sub-group, will also aggress against the animals. There is then some inevitability that once such aggression is socially sanctioned, their journey will continue by aggressing against person, against property. They will see no distinction. Their journey can easily lead to the killing of another person. Significant research has identified this development and ending. This is the slow diminishment of a society’s moral substance and gradual increase into a prevalence of violence but a more immediate but equally destructive effect can be seen. In any society, irrespective of political dictats, there is no homogeneity of support. Emotive issues exacerbate differences. Any society will contain those who passionately support the rights of companion animals and also those who have no regard or who are motivated by political hysteria. At such levels of passion, in counterpoint to each other, this polarization can produce levels of acute violence. Neighbor against neighbor! Even before official recognition of the law in Romania, two neighbors have fought over this issue and one was killed. Even before! One can only stand and watch now and wait while the death count gets higher! So we have a government introduced policy which at best is ill informed, historically proven to be unsuccessful with previously proven successful strategies dismissed. And on top of all, a strategy which will polarize society resulting in violence between citizens and almost as if to reinforce the evidence that the strategy is ill advised, ill considered and incompetent, the children will be psychologically damaged. One cannot conceive of a more counter productive, societally destructive direction taken by any European Union Member Government in recent times. Occupy for Animals is being bombarded with emails and calls from desperate Romanian animal activists and rescuers who are pleading for help! Not only are their own companion animals, and/or the animals that are in the care of their organisations and who most certainly constitute no ‘danger’ to the public and who often even already have potential adopters (outside of Romania) at risk of being taken by the dog catchers and thrown in their so-called ‘shelters’ where death is a certainty and not an option, but the people, too, are at risk of being physically attacked! Considering the scale of the tragedy that is already unfolding, the societal disaster along with the potentially ‘greatest animal genocidal impact on human health in European history’ that we are heading towards, we are respectfully begging for you to intervene and to help Romania to get back on track before it’s too late! In addition to our plea for help, we also have a few questions that we – together with very very many people from Europe and from all around the world – would really love to have an answer to. Below, our questions, suggestions, and remarks. Romania’s Constitutional Court ruled on 25th September, 2013 that the proposal which had been accepted by the Lower House of the Romanian Parliament on 10th of September, 2013, is “constitutional” and that the ‘euthanasia’ of all homeless dogs in Romania, after 14 days spent in their so-called ‘shelters if not adopted or perished before this time has elapsed, is ‘constitutional’, too, although they had ruled in January 2012, that: “the killing of healthy animals was unconstitutional as a mean to control stray animal populations until all other solutions had been applied”. 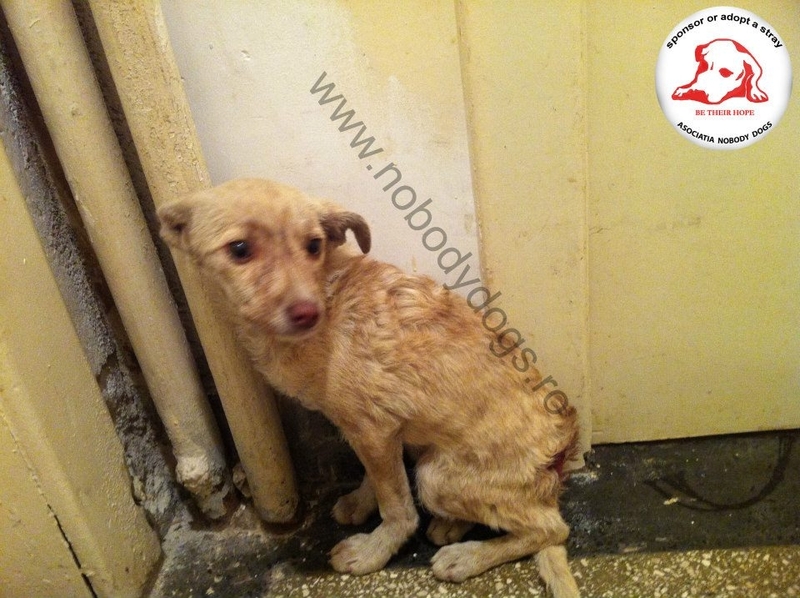 What has changed since January 2012 on the “management” of Romania’s stray animals populations? We haven’t heard of any massive sterilization campaigns! We haven’t heard of any ‘education of the populace regarding the importance of spay & neuter’ their owned (but allowed to roam freely and to mate as they wish) companion animals! And in this context, we would like to remind you that an estimated 5 million puppies are born each year in Romania in rural areas of which some are being killed by their owners, and the others are simply being thrown out on the streets or in the woods. We haven’t heard of any measures taken to undermine breeding, including “back yard breeding”! Can, and will, the European Parliament’s Intergroup on the Conservation and Welfare of Animals, please ask Mrs Daciana Sarbu – Vice President of the Intergroup, co-initiator of the Written Declaration on Dog Population Management 0026/2011, wife of Romania’s Prime Minister Victor Ponta – what she has done in her own country to promote and implement a humane management of the stray animals populations as she has so brightly described in the WD 0026/2011? Please ask Mrs Sarbu what she has done to promote responsible animal ownership in her own country? Please ask Mrs Sarbu what she has done to educate the populace of Romania about the importance of spay and neuter, and/or not to let their animals roam freely and to mate as they wish? Please ask Mrs Sarbu what she has done to avoid the tragedy that is now unfolding, bringing unnecessary suffering and death to both animals and their protectors? As the wife of Romania’s Prime Minister Vîctor Ponta, and a Vice President of the Intergroup, she had, and still has a unique position and opportunity to bring change to her country regarding stray animals population control and welfare, but we haven’t – sadly and to our very great deception – heard of any actions taken by Mrs Sarbu in this field. In fact, we haven’t heard anything from her since the adoption of WD0026/2011. The questions might be, and probably are, irrelevant because they simply won’t change a thing to the situation of the poor homeless dogs in Romania, but we really would love to know her, and/or your answer to our questions. In fact, we are sure that very very many people are interested in knowing the answers to these reasonable and justified questions. In light of the surprisingly misinformed content of the presentation by Mme Sarbu and her continued absence from Intergroup involvement especially when a serious focus is placed on her country, we would reserve the right to further explore Mme Sarbu’s suitability for office and we are sure that you would encourage any adverse detail to be presented, as you of course only want officials who exemplify the highest quality in seeking the best of interest for the animals and people of Europe. Can the Intergroup please advise us as to who to complain to if someone is failing in his/her duty as regards to the position he/she, maybe now un-deservingly, finds himself/herself in? “LAW NO. 9/2008 (Law MARINESCU 1) remains in force. Euthanasia is prohibited. and, considering that the dog catchers are already in action all over Romania – at the order given by their Government – and are catching all dogs that they can get hold of and sometimes even owned dogs on private properties (gardens and yards) to take them to an “uncertain” destiny, we believe this to be unlawful. Can, and will, the EU-Commission help to shred some light into the matter as to which law is now the one that must be respected? Can, and will, the EU-Commission help to restore the “order” in Romania if proven that the Romanian Government acts unlawfully? We have seen people been arrested (already days before the vote on the new ‘legislation’), we have seen dog catchers entering private properties and “stealing” owned companion animals, we have seen people being physically attacked by dog catchers when trying to defend their owned companion animals who they consider being part of their family, and we have (already) seen people (neighbors) killing each other. One just needs to check the Romanian news to find many cases, and one just needs to wait and watch while the death count gets higher. Or one can take action now and try to stop the anarchic madness. And those who are not being physically aggressed are being forced to witness extreme cruelty to animals, and even to humans, on a daily basis, and to such an extent that they lose any good quality of life, and the feeling of being safe. Experts have warned that exposure to abuse has an impact upon any individual who witnesses it, and that the exposure to uncontrolled animal abuse as happening right now in Romania, connects directly with children’s psychological health. That children exposed to the capture and often immediate slaughter of the animals will seek to psychologically protect themselves from such trauma. They will desensitize. Reduce their sensitivity towards living creatures including fellow humans. Some will embrace the attributes of their violent society and finding legitimized sanction for the destruction of the animal sub-group, will also aggress against the animals. Can, and will, the Council of Europe intervene in trying to protect the safety and the human rights of Romania’s citizens? Can, and will, the Council of Europe intervene in order to protect Romania’s children from psychological impairment due to the exposure of uncontrolled animal abuse? 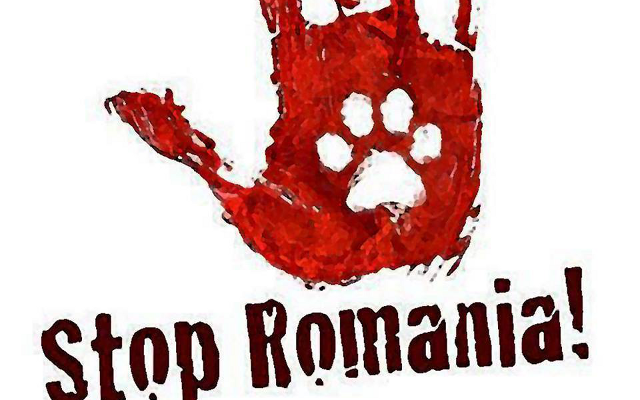 Romania has signed said Convention on 23/06/2004 – has ratified it on 06/08/2004 – and it entered into force on 01/03/2005 – and in addition to this, Romania has also embraced parts of said Convention in their National Animal Protection Law 9/2008. Being a signatory of the ‘European Council’s Convention for the Protection of Pet Animals’, Romania had and still have a binding obligation to take adequate measures in the field of stray animal population control, including the housing and care of these animals. As you know all of the before mentioned points of the Convention are NOT being respected. Can, and will, the Council of Europe take any measure to remind Romania of their binding obligations regarding the management of stray animal populations and the adequate care of these animals, among others? Can, and will, the Council of Europe, please remind Romania that the ‘European Council’s Convention for the Protection of Pet Animals’ is NOT an essentially cosmetic, futile, and very expensive useless piece of paper initiated at the expense of European tax payer’s money, but without any value other than the paper on which it is being printed, and which can readily be dismissed? In 2001, Traian Basescu, the then-mayor of Bucharest launched a campaign that led to the extermination of about 144,000 stray dogs in the capital alone, spending almost 9,000,000 Euros (62 Euros per dog) during the period from 2001-2007. 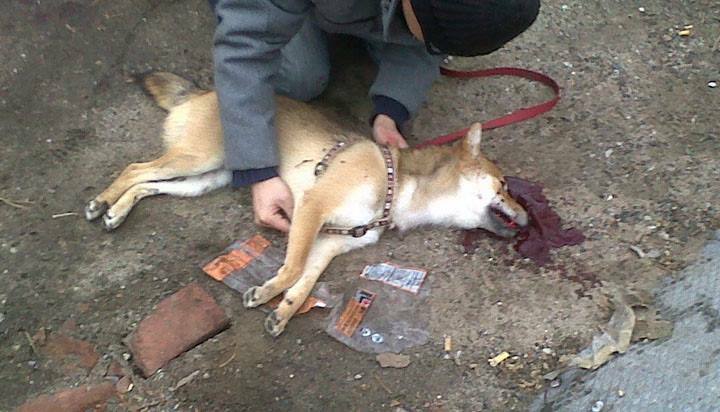 Between 2008-2010, 20,000 dogs have been killed in Constanta spending 1,500,000 Euros (75 Euros per dog). According to Princess Maja von Hohenzollern, Romania has killed an incredible 10 million stray dogs during the period from 2004 to 2009. That IS a ‘genocide of dogs’ that has never happened in Europe – and the entire world – before. 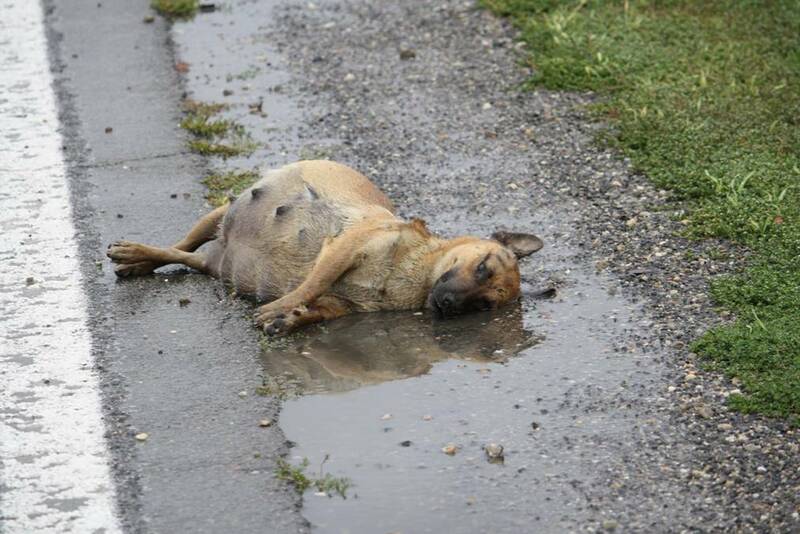 Romania has killed almost as many dogs as the entire population of Romania with the only “result” that the streets of Romania are again (still) littered with live and dead dogs. Overall it is estimated that Romania has spent between 25 and 40 million euros between 2001 and 2008 for the ‘management’ of the stray animals, while their numbers only grew larger! Contrary to the popular belief that fuels the anti-stray protests, the money spent on food for the strays was just a infinitesimal part of the budget, as the dogs were being fed “subliminal” quantities, to quote the so called specialists from DSVA Brasov. Out of a total budget of 1,500,000 lei for 2008, the dog catchers in Brasov allocated only 5,000 lei for the dog food, less than 3%. YES: “interestingly”, even culling dogs can be very profitable. The President is therefore asking the tax payer to fund an expensive, non-evidence based, ineffective practice! Can, and will, the OLAF please investigate the correct (or fraudulent) use of public funds spent under the pretext of stray animals management in Romania? As you know best, Romania ranks high at the corruption-index and It has been suggested countless times by many Romanian organisations during the last years, that the money would disappear into the pockets of greedy, dishonest politicians, mayors and business men, but that the dogs would not benefit from the public money that is being spend for their supposed management and care. We have seen shelters where the dogs were not even given a drop of water all the while the municipality had spent gigantic sums for their “care”. Can, and will, the Belgian State Secretary for European Affairs please let us know if the European Union gives money for animal welfare to Romania and the exact amount? If that proves to be the case then an independent commission should be assigned to do a complete investigation as to the appropriation of these monies. What could perhaps be happening is that money slated for animal welfare could very well be used for purposes other than it was intended maybe even for the personal gains of those individuals who advocate these atrocities. Misappropriation of money and falsification of documents to coverup such misappropriation is nothing new and has been uncovered in other countries of the Eastern Block. Such information, however, is usually covered up and a wall of silence is put up by methods of intimidation. Thank you, in advance, for the time taken to read this, for considering our plea for help, and for answering our questions!